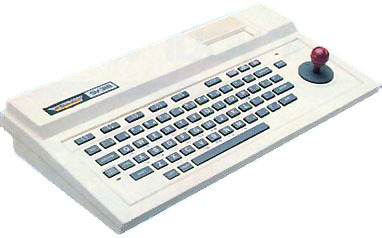 This is the MKII model. 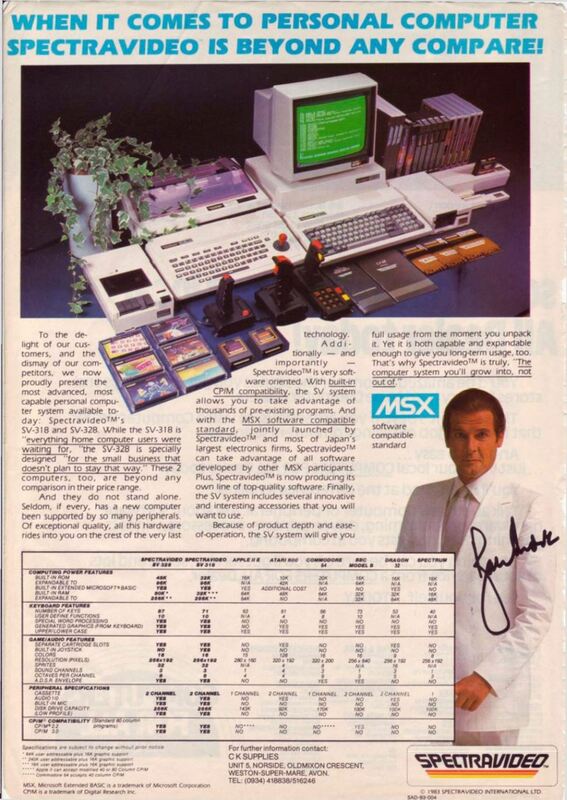 Advert with Roger Moore. 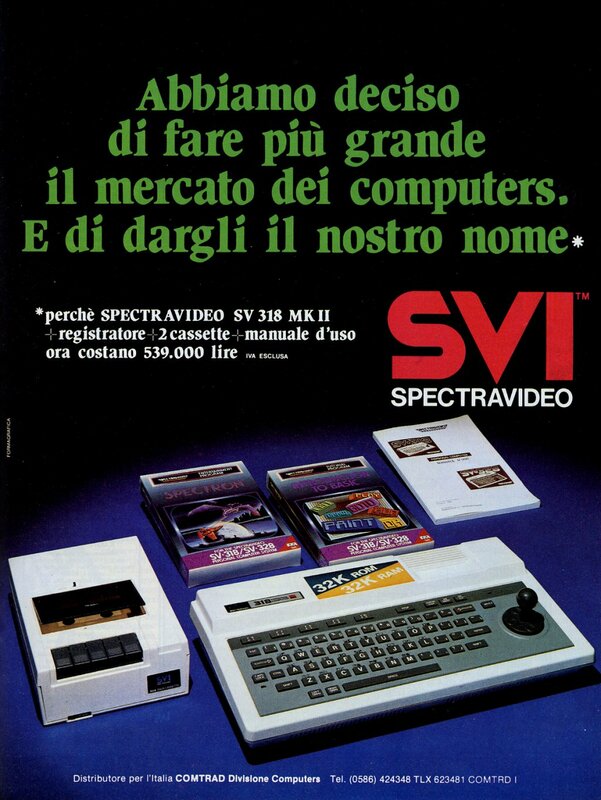 Thanks to Mr. Alberto Cavalcoli. 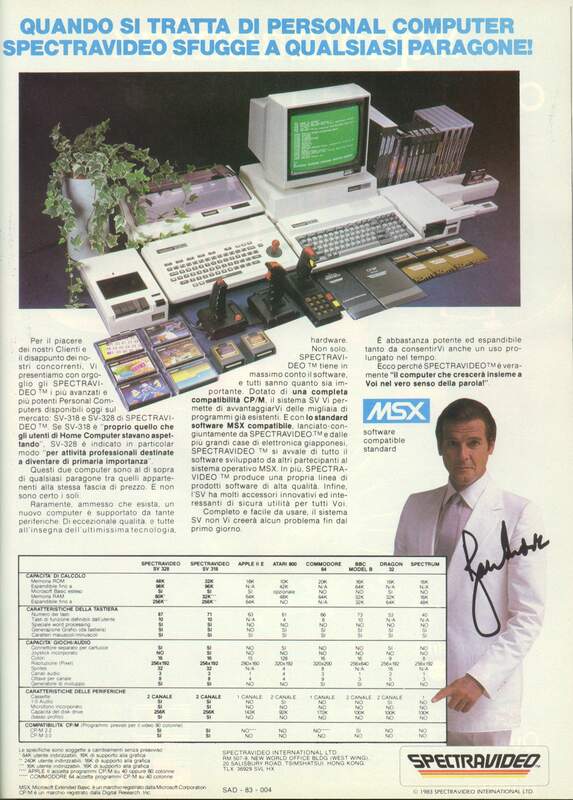 Note They have 32Kb of RAM althoug only 16Kb are for the user. 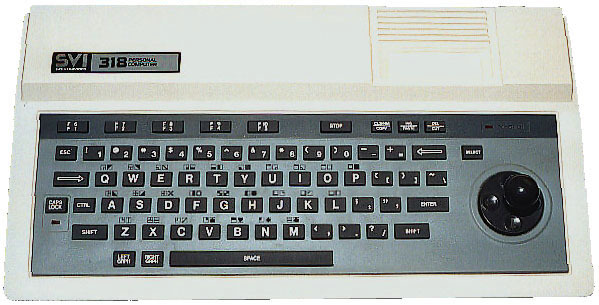 The other 16Kb are VRAM (Video RAM). 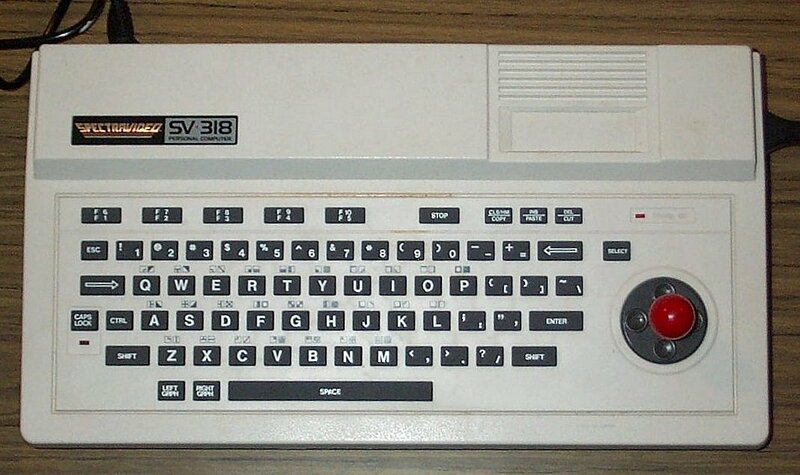 The first one is labeled as SV-318. 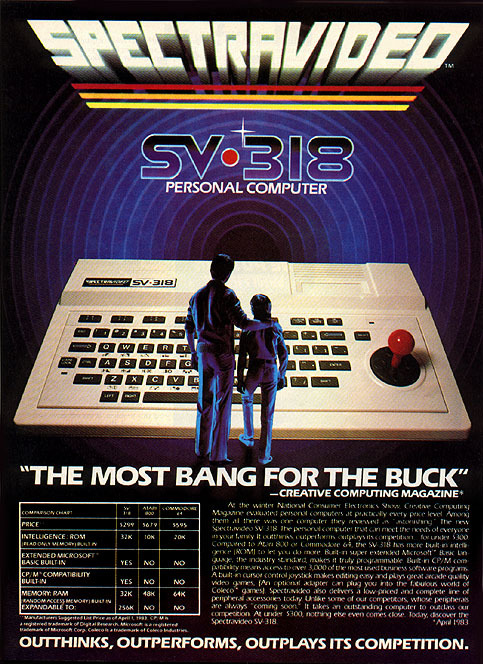 The second version is labeled as SVI-318 Mk II. This includes the RF Modulator in the case. 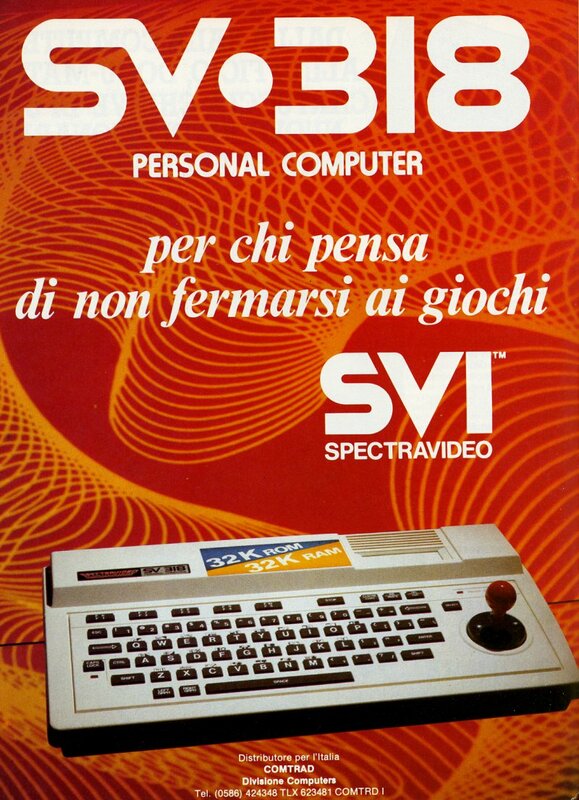 The logo was changed to the new Spectravideo logo, the one with "SVI", and the color of the keyboard base are different.